“Deal with your cholera first” Magufuli tells Zambians. 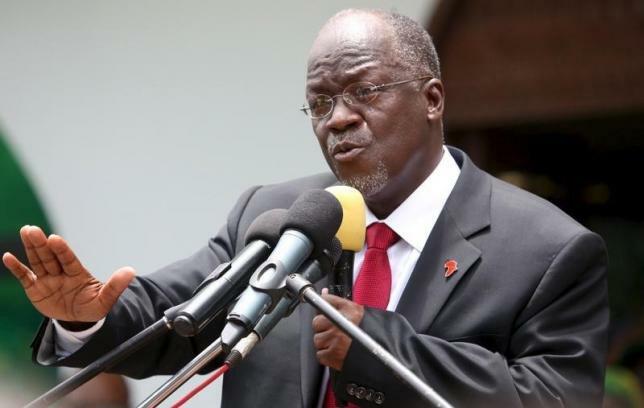 Tanzanian President John Pombe Magufuli has asked the Tanzanian Immigration Officers operating at Nakonde-Tunduma border post to close entry to anyone from Zambia as a way of preventing cholera from entering the East Africa’s Second Biggest Economy. Addressing the media in Dodoma Tanzania this afternoon, President Magufuli disclosed that his government was concerned with rampant cholera cases that are being reported in Zambia and warned that Tanzania may be the next victim if it does not take preventive measures since it shares one of the world most porous boundaries with Zambia along Tunduma – Nakonde border. “Let them deal with their cholera first, then we will allow them to enter our country for trade”, Magufuli told the senior TM Officers. Reports say President Magufuli has be alarmed by the fact that cholera has hit a country like Zambia with a tiny population of not more than 15,000,000 and fears that his 68,000,000 people may be affected more if the movement of Zambians into his country is not controlled.